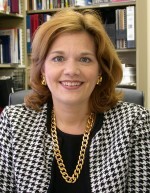 Baylor>Robbins College of Health and Human Sciences>Faculty & Staff>Faculty Directory>Rochelle R. Brunson, Ph.D. Native Texan who grew up in West Monroe, Louisiana as well as Birmingham, Alabama. Industry experience includes buying and retail management (department store, specialty stores, and discount chain). Previous teaching experience includes Louisiana Tech University, Texas State University, University of Houston-Clear Lake, and Alvin Community College where she served as Department Chair for Management, Marketing, and Entrepreneurship.